Sometimes I eat my feelings. Do you do this too? A few weeks ago, I opened the free Michelangelo Challenge. We have a super group of exciting, vibrant ladies (and a few gents) who are using effective workouts, healthy yet somehow delicious food, offbeat challenges, and a great support network to make some positive changes. It's been a pleasure having everyone there, and they're all doing such a great job! However, as it turns out, occasionally there's a bump in the road. 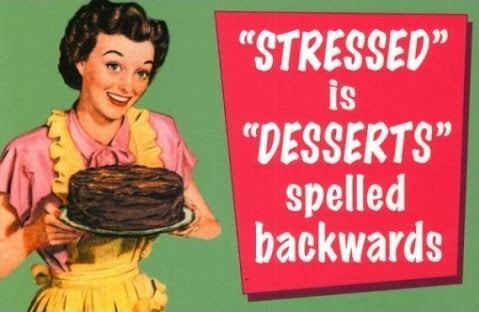 And sometimes that bump leads to self-soothing in the form of quesadillas, beer, chocolate, or some other tasty food. It would be awesome if food solved life's problems but surprise, pizza doesn't alleviate loneliness. Especially when you trap the delivery guy and force an awkward conversation with him (not from personal experience). When you're eating because you're sad, you might look into addressing the issue differently. We had a really good discussion about this - I asked everyone in the group what their hardest struggle was, and then brainstormed with John (my sidekick in the MC). Together we came up with some suggestions we personally use to check our emotions when we feel like a pizza would def solve all our problems. I felt it was important to share this beyond the warm, fuzzy embrace of our group. After struggling with depression for nearly a year, I know how devastating it can be and I want you to know we're in this together. Without further ado, here's what we wrote. I've blanked out the participants' names - but maybe you have the same issues. Could I have written one of those answers to YOU? If the answer's yes, please leave a comment below or email me to let me know which one you struggle with. It's important that you know you're not alone in this! Like this article? Want more? Sign up for our email list! Thank you! Check your email to make sure it gets to you - I'd hate to be stuck in your spam box.